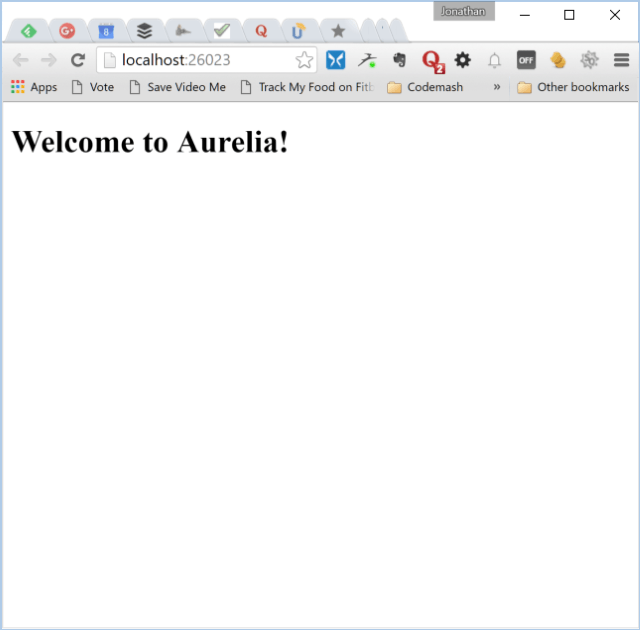 In the first article in a series, see how to set up an Aurelia app using ASP.NET Core 1.0. Four months later, I'm "moving foward" with Aurelia. But then I thought, "I do have a SPA application... my Codemash pure web app that I built." I need to become more familiar with some of the client-side tools, including jspm. Instead of an Empty/Blank Project, select the "Web Application" and click OK.
Because we are using a web server instead of the ASP.NET MVC application, we can just ignore the Controller and Views for now. As I mentioned before, the attribute in the body tag called aurelia-app will automatically point to an app.js and an app.html. If you change the attribute toaurelia-app="main", your Aurelia app will look for the main.js and main.html file instead. In the next post, we will create our screens including the main screen and menus.